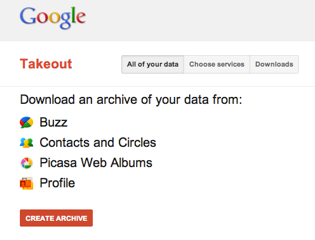 Google Plus is starting off on the right foot with "Takeout"
On day one, your profile, your contacts and groups, and your photos, are yours to take. This is a good start. Read more about the privacy issue, and fixing online sharing, in the 28 June 2011 issue of New York Times.